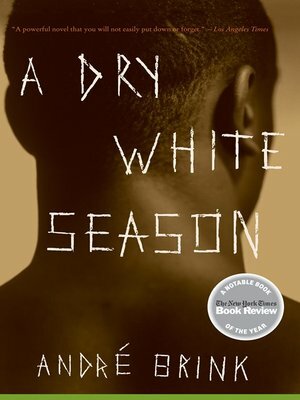 As startling and powerful as when first published more than two decades ago, André Brink's classic novel, A Dry White Season, is an unflinching and unforgettable look at racial intolerance, the human condition, and the heavy price of morality. André Brink is one of South Africa's most distinguished writers. His books include An Instant in the Wind and Rumours of Rain, both of which were short-listed for the Man Booker Prize.